The 2019 Toyota Camry vs. the Competition! Considering a new midsize sedan? It’s an excellent choice for both city and family life, and you’ll find a lot of choices in this crowded segment. It can be difficult to decide between all these offerings, but there are several models currently leading the industry into new territory. One of these is the 2019 Toyota Camry. Let’s look at how the 2019 Toyota Camry stacks up vs. the competition. While essentially breaking even in the fuel economy category, the 2019 Toyota Camry takes the cake when it comes to power. The 8-speed automatic transmission also provides a smoother drive over the Mazda6’s 6-speed automatic, and it provides a greater control of the vehicle in all conditions than either of the competitors’ continuously variable transmissions (CVTs). 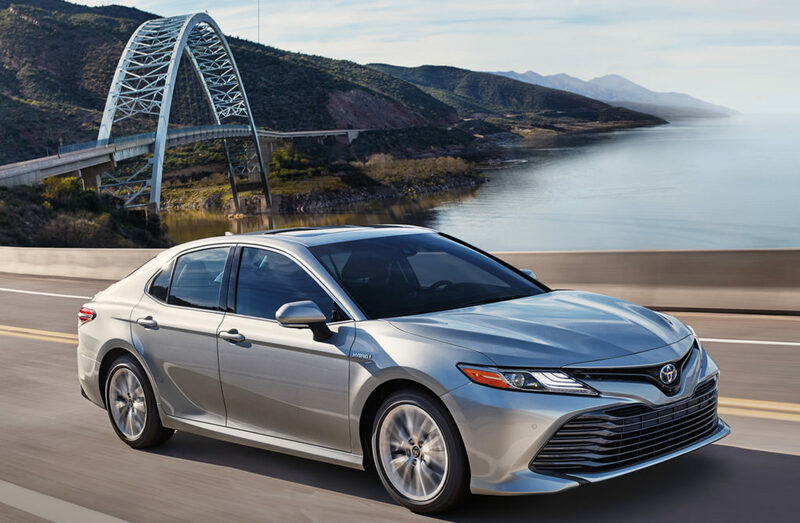 Not only is the 2019 Camry the best value of the bunch, but according to Canadian Black Book it also better retains its value throughout your ownership experience–meaning should you ever decide to sell it, you’ll receive a better return. The logic here is that there’s much more to a vehicle’s monetary value than its sticker price, although the Camry is the clear-cut winner in both categories. The table is quite self evident. The Camry has outstanding efficiency compared to its competitors. In fact, it’s one of the most fuel efficient midsize sedans on the market. It’s also getting a lot of power out of its engine–203 horses is nothing to scoff at, whatsoever. The 8-speed automatic transmission is partially responsible for such excellent efficiency, and it also makes for a smoother drive. The Camry is also quite spacious, offering plenty of room for even adults in the back seat. The Camry is comfortable and safe as can be, receiving the IIHS’s most esteemed award. The warranty you receive helps you retain your Camry’s resale value, which also beats the competition. We at McPhillips Toyota would just love to have you in for a test drive in a new 2019 Toyota Camry. We will help you select the perfect trim to suit your needs, and we’ll explore all of the exciting features in the new Camry too. We encourage you to go ahead and book that test drive with us, or if you’d like to learn more about the Camry, you’re more than welcome to contact us!